I too would tear the pages fearing that someone would read them. I wouldn’t even read them myself. Afterwards however, I would feel guilty and blame myself for wasting my time instead of working on my story or novel. Usually the things I wrote about would be what upset and bothered me at that particular time. It could be something personal or a general idea or concept that I may have come across somehow. After all the years I just wish I had kept those pages somehow, somewhere instead of destroying them. I don’t even know if I would have ever used them or if they were any good. All I know is that writing those pages have helped me a lot and led the way to this day. This entry was posted in Ramblings and tagged author, creative, creative writing, dreams, feelings, fiction, ideas, inspiration, novel, story, thoughts, write, writer, writing. Bookmark the permalink. 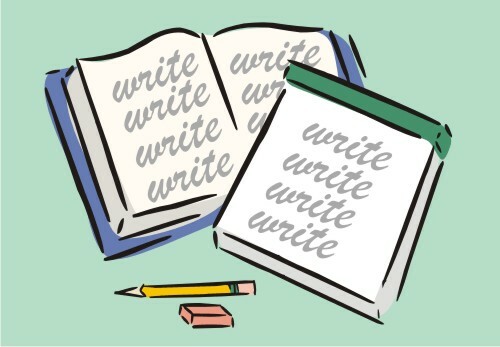 We should write because writing brings clarity and passion to the act of living. Thank you for this very insightful and so true. Looking forward to reading a new novel by you or why not try your hand at poetry. From the simplest sentence to the list of inspirational words and images – an idea can grow, form and become. Great post. “After all the years I just wish I had kept those pages somehow, somewhere instead of destroying them. I don’t even know if I would have ever used them or if they were any good. All I know is that writing those pages have helped me a lot and led the way to this day”. I have kept my notes and sometimes as I have written them down, ideas have a way of coming back to you in a creative way in which you can build on.